under the small umbrella: Why does a Rockstar need a telephone when you have Skype? Why does a Rockstar need a telephone when you have Skype? AR Rahman and Imtiaz Ali have put in their heart and soul to create some memorable music for their upcoming film ‘Rockstar’ produced by Shree Ashtavinayak & Eros International. The music director has roped in Orianthi Panagaris, Michael Jackson’s lead guitarist for a song titled ‘Saadda Haq’ in the film’s soundtrack. Rahman checked with his agent in LA and even met up with Orianthi during one of his work visits there. He made her listen to the rough track and she absolutely loved it. Rahman immediately contacted Imtiaz and soon the Director was online, video chatting with Rahman & Orianthi from Mumbai. “The Director had a long discussion with Orianthi on Skype; briefing her about the film’s story and the song’s relevance. 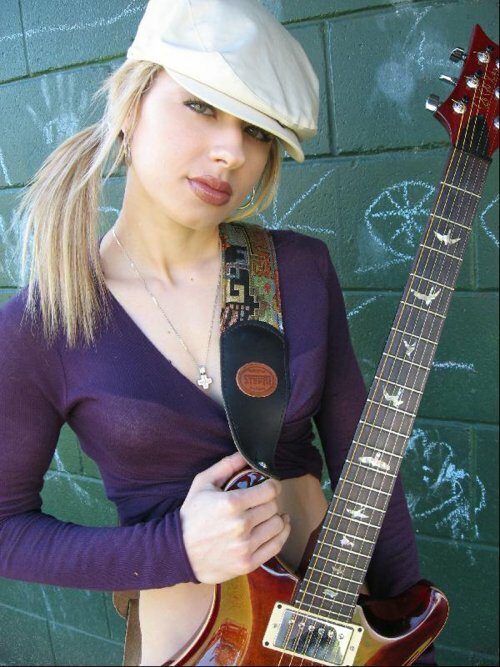 Orianthi who was sitting with Rahman in LA immediately played some tunes that she felt could work well for the song. They (Imtiaz & Rahman) loved it and so Orianthi was on board!” the source adds. A few days later, Rahman recorded Orianthi playing the guitar for ‘Saadda Haq’ in his LA studio. The process took 6 long hours, while Imtiaz witnessed the entire session through Skype! Rockstar hits UK cinemas 11.11.11.